Malaysia is a great place to settle down, if you prefer to have a high quality of life with low living costs. According to Forbes news magazine, Malaysia is the only Asian country that qualifies into the list “10 best places to retire around the world”. It’s not surprising for a country that has a breathtaking nature, among the best cuisines in Asia, and locals that offer great service while communicating fluently in English. Not to neglect, Malaysia offers the most favorable foreign property ownership regulations in Southeast Asia. 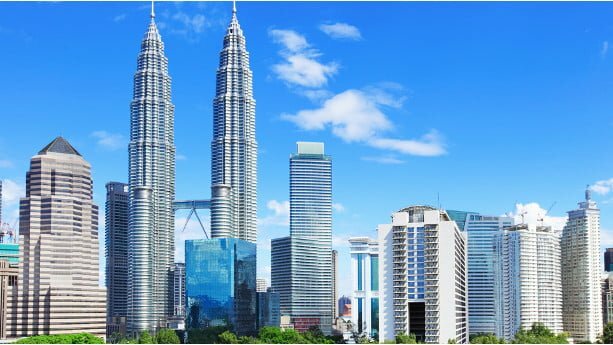 In this guide, you’ll learn everything you need to know before buying property in Malaysia as a foreigner, including information about foreign ownership regulations, if you can buy land, minimum investment requirements, visa regulations, taxes, and more. Can foreigners buy land in Malaysia? Can foreigners get property loans in Malaysia? Which are the best places to buy property in Malaysia? You have no particular issues to buy and own property on a freehold basis as a foreigner. That includes everything from condos, apartments, and landed houses, such as villas and bungalows. Malaysia is the only country where you can buy land on a freehold basis as a foreigner. I don’t count Singapore as you need to be a permanent resident for five years and make significant financial contributions. In other neighbouring countries, like Thailand, you need to deal with complex contractual setups to indirectly own land. The foreigner can open a company and own 49% of the shares, get appointed as a director, and having majority voting rights. Another solution is to let a local citizen hold the title for you. These setups are not always safe and in many cases you won’t be protected if any issues occur later. What land types can I own as a foreigner? It’s possible to get ownership of Malay reserved land and agricultural land, but the process is complex and it’s not granted on a frequent basis. Malaysia has introduced minimum investment requirements (MFIV) to foreigners, leaving affordable properties to the locals. A personal guess is that a larger amount of capital can enter the Malaysian market as well, creating value for Malaysia as a country. The minimum investment requirements differ between states and it’s important that you make a thorough overview of the regulations that apply. *In Johor, you need to invest at least RM 2 million for landed property in different international zones. ** For Melaka, RM 500 thousand is valid for Strata title, but the value increases to RM 1 million for non-Strata titled property. Persons that are tired dealing with frequent visa applications can apply for the praised MM2H visa. MM2H is an abbreviation of Malaysia My 2nd Home that allows foreigners to get a 10-year renewable visa. Once you’ve obtained it, you can easily leave and come back to Malaysia, avoiding the hurdles to frequently apply for new visas. 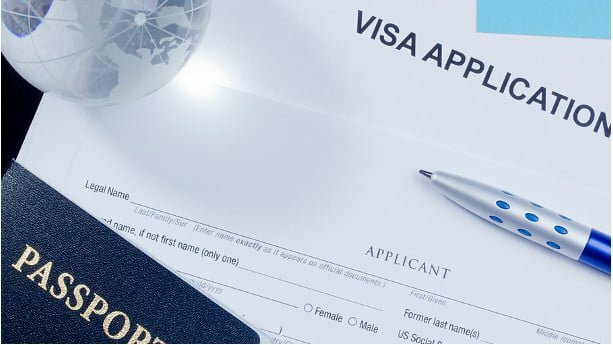 To qualify for the visa, you need to meet financial and medical requirements, as stipulated by the state. What are the requirements to apply for an MM2H visa? Below you can find more information about the financial and medical requirements you need to meet when applying for an MM2H visa. I also recommend you to hire an MM2H agent that can help you and your family with the application (more about MM2H agents later in this article). If you’re under 50 years old, you need to have at least RM 500,000 in liquid assets and have a monthly income of at least RM 10,000, remitted from overseas. When settled, find any international bank with a local branch such as Standard Chartered or HSBC, where you need to deposit at least RM 300,000 in a fixed deposit account. You need to wait for one year until you’ll be able to take out a maximum value of RM 150,000, to be used for your children’s education, medical fees or a purchase related to property purchase. Keep in mind that RM 150,000 needs to be kept in your account during the whole MM2H period of 10 years. Notice: For the State of Sarawak, the regulations differ and you cannot be younger than 50 years to apply for an MM2H. The only exception is for persons aged over 30 that get long term treatment for medical reasons, or if they have children signed up in local schools. If you are above 50 years old you, the financial requirements are less strict. The fixed deposit amount is reduced to RM 350,000 and you need to earn at least RM 10,000 per month. You also need to deposit at least RM 150,000 in a local bank account. If you are over 50 years old and retired, you need to prove an income of at least RM 10,000 per month, remitted from overseas. You need to wait for one year until you are able to take out a maximum value of RM 50,000, to be used for your children’s education, medical fees or a purchase related to property purchase. Again, at least RM 100,000 need to be kept in your account. 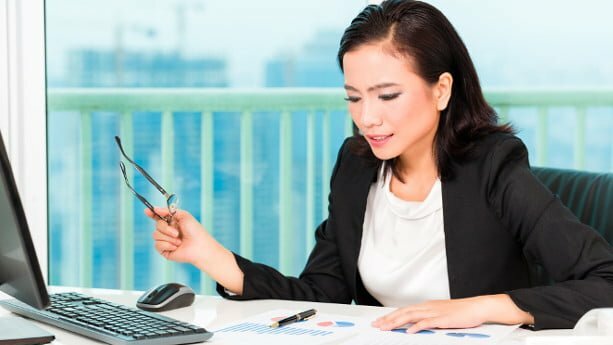 In addition to the financial requirements shown above, you need to provide a medical report from a registered clinic or private hospital in Malaysia. When the medical check is approved, you should also have a medical insurance coverage that’s valid in Malaysia, from any insurance company. Keep in mind that your dependants (such as your children or wife) need to provide medical reports and have valid insurances as well. Your dependants need to be under 21 years old and not married. To apply for the MM2H, it can be a good choice to seek help from an MM2H agent. The agent knows the regulations in-and-out and makes the process more swift. For more information, you can visit the the official government portal of MM2H. Agents normally charge around RM 10,000 (around USD 2400) for a couple. The only additional fees are government charges for the visa itself, which amounts to around RM 90 per year. How long time does it take to get the MM2H visa? It normally takes 3 to 4 months to get the visa. If you meet all the income and medical requirements you’ll be approved, but the government check applicants quite thoroughly and often contact your bank, and requiring a police report. In the past years, the Malaysian banks have made it easier for foreigners to get property loans. Still, banks can be a bit restrictive, as the economy hasn’t fully recovered since the recession in 2008. If you meet any of these requirements, you’ll have a greater chance to obtain a loan. The same regulations apply in Hong Kong, banks don’t care much about your nationality, but your source of income should preferably be in Malaysia. World check is a risk management database used for individuals and organizations. It’s used to find financial, reputational and regulatory risks. How much can I borrow as a foreigner? Non-resident foreigners experience lower LTV ratios (Loan To Value) compared to locals and resident foreigners. This is the case in Singapore as well, where foreigners get lower LTV rates. The LTV rates range between 50-60%, according to the research I’ve done. Simply put, the LTV tells you how much the bank will pay, where the LTV rate is multiplied by the purchase price, or valuation price, whichever is lower. If you’re an MM2H holder or a permanent resident, which is a requirement from some banks, the rates will be higher and sometimes reach up to 70%. Which documents do I need to apply for a property loan as a foreigner? How is the process when applying for a mortgage? The application process is similar between foreigners and locals, but foreigners need to provide additional documents related to their residency and employment in Malaysia. You can find more information about loan options and requirements on the websites. When you have chosen a bank, prepare the documents listed above, before you set up a formal appointment. If you accept the Letter of Offer, the bank will appoint a lawyer that will make a Loan Agreement to be signed, which takes around 10 days to make. The final step will be for the Land Office to approve the transfer of the property. When approved, the loan can be distributed. If the property is under construction, the bank will make the payments in instalments and in accordance with the progress of the development. It’s important that you have a good knowledge about what property taxes that apply, before you buy property. Below I’ve included taxes you need to pay when buying, holding or selling property in Malaysia. On top of that, you usually need to pay for a legal fee, ranging between 0.4-1%. Paid for both leasehold and freehold property to the Land Office. However, the fee is usually included in the rent for leased land. The amount is almost negligible and generally don’t more than USD 10-20/year. In short words, Assessment tax is similar to property tax used in other countries. It’s calculated based on the estimated annual rental value of your property, which is in turn multiplied by a rate, usually set to around 4%. The rental income tax increases progressively from 0% – 28% if you’re a permanent resident or a Malaysian citizen. The rates are multiplied with the yearly estimated rental incomes. For non-resident foreigners, the rate is fixed and set to 28%. Keep in mind that you can make deductions of the appraised value by deducting fees for property management, repairs, and more. Malaysia has a low capital gains tax, if you hold your property long term. 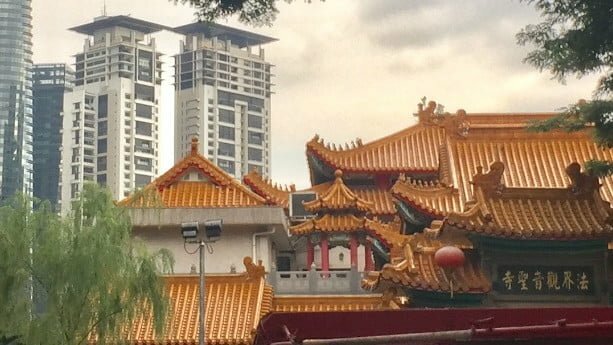 Malaysia has a number of interesting cities, all with different unique features and benefits. Below I’ve listed some of the most interesting places worth having a look at. Kuala Lumpur will become a major city by reaching 10 million people in a near future. Foreign investors still see the capital as an attractive choice, it’s the main hub for people to do business in Malaysia. Although some people say that Kuala Lumpur is more expensive and overvalued compared to other parts of the country, there are real cuts that can be made in the outskirts. The government invests much in infrastructure, with plans to link Kuala Lumpur with Iskandar, which will increase commercial activities. I recommend you to make a thorough overview of both sub-sale properties and off-plan projects in this city. This rich state is just behind Penang in terms of GDP per capita. It was first to be called a developed state in Malaysia, attracts many businesses, and has the highest number of universities in Malaysia. Setia Alam, Bandar Bukit Tinggi, Setia Eco Park are all worth to watch if you plan to purchase a property in Selangor. Penang is famous for its relaxed atmosphere, foreign retirees pour into this region. It’s one of the most densely states, there’s a reason why minimum investment requirements are higher, especially for landed property. If you want to know more about the best places to buy real estate in Malaysia, I recommend you to read my separate article that includes more exhaustive information. Johor Bahru attracts a lot of Singaporean and Mainland Chinese investors, building up local communities. Located with proximity to Singapore, it’s one of the richest states in Malaysia and an attractive place for property investments. If you want to read how to buy a condo in Johor Bahru, you can read this guide. 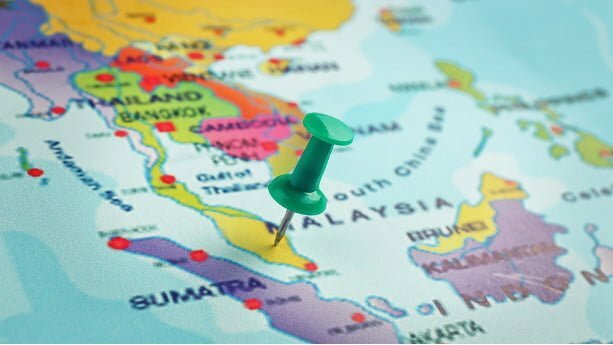 Foreigners can rent out property in Malaysia, but you should read about the local regulations beforehand, and plan well in advance. First of all, a recommended option is to find a local agent that can help you to find tenants and managing the rental in general. You can read more about some of the top real estate agents in Malaysia in my separate guide. Usually, the agency will claim a cost equal to the monthly rental fee, if the contract is for 1 year. If the contract is for 2 years, the fee will be 2 months, and so it goes on. What should I include in the rental agreement? You need to make sure that the maintenance fees of the property are paid every month. But the agency should help you to make sure that the rent and fees (e.g. for water and electricity) are paid timely by the tenant. What will happen if the tenant decides to leave the property before the tenancy expires? What will happen if the property gets damaged? Whether the tenant can renew the contract or not, will there be any discount in that case? Preferably, find a standard contract written by the agency or find a standard version on the internet. Below you can find frequently asked questions from property buyers and my replies. Can US citizens buy real estate in Malaysia? US citizens can buy real estate in Malaysia and don’t have any special treatments in comparison to other foreigners. If you want to know more about what regulations that apply, go to the section “Can foreigners buy property in Malaysia?” above. Can Singaporean citizens buy property in Malaysia? Yes, Singapore citizens have no issues to buy real estate in Malaysia, as stipulated by the government. Just keep in mind that some land types are designated to Bumiputera. If you’re a Singapore citizen and own an HDB unit, you first need to fulfill the Minimum Occupation Period (MOP) of five years, before you can acquire a property in Malaysia. Can Indian citizens buy property in Malaysia? The same as it goes with US citizens, India citizens have no special treatments when buying property in Malaysia, compared to other foreigners. Can foreigners buy property in Sarawak? Yes, you can buy property in Sarawak as a foreigner and the minimum investment requirement is RM 400,000. In case you have an MM2H visa, the requirement is lowered to RM 300,000. Can foreigners buy property in Selangor? Foreigners can buy property in Selangor, but the investment requirements are among the toughest in Malaysia. Can foreigners buy agricultural land in Malaysia? Foreigners are generally not capable of buying agricultural land, even if it’s allowed under some conditions. You need to meet the minimum price threshold and get approval from relevant state authorities. Act A587 was added to the National Land Code 1965 and states that foreigners are prohibited from buying agricultural land, but allowed to do so after receiving approval from the state authorities (in respect of building land). Decades back, the Malaysian government wanted to welcome foreigners to invest and start new industries in Malaysia, as long as they didn’t compete with the local agricultural sector. The act exists until today’s date. Can foreigners buy commercial property in Malaysia? 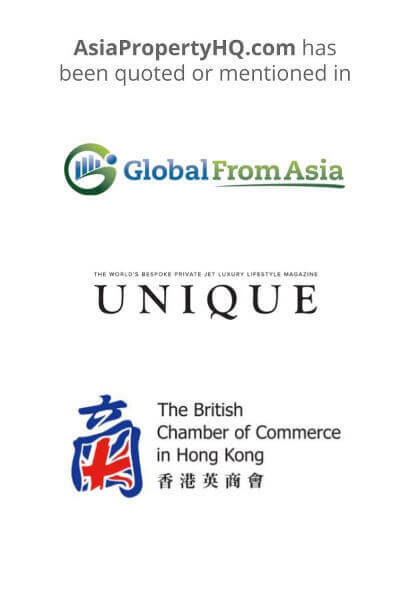 You can buy commercial property as a foreigner, including property in the office, retail, and industrial sector, for example. The requirements for minimum purchase prices only apply to places where the buying pressure is slightly higher, like in Kuala Lumpur. If you want to know more about how it works when buying commercial real estate in Malaysia, I recommend you to read my separate guide. 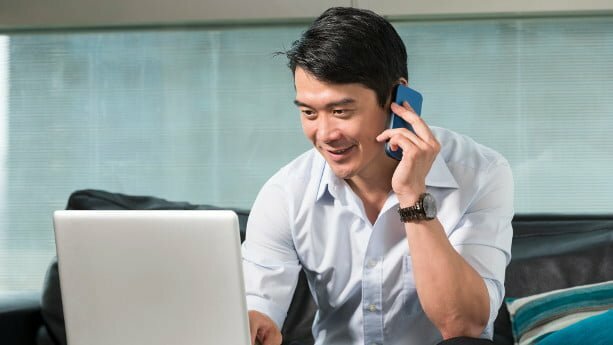 How high are the agent commissions in Malaysia? This is valid for land as well as for houses and apartments. Malaysia is one of the most attractive places to buy property in Asia. Foreigners can buy land and have no problems to get freehold ownership of both houses, apartments, condos, and land, which is rare in the region. Locals speak good English, reducing a lot of hurdles with translations or other pitfalls that might arise in other countries. Another great benefit with Malaysia is that you can get a long term visa through its MM2H visa program (Malaysia My 2nd Home) program. The most popular cities among foreigners are: Kuala Lumpur, Johor Bahru, Georgetown (Penang), Ipoh is also getting increasingly popular as it’s located between Kuala Lumpur and Penang. I hope that you found this guide helpful and recommend you to read my separate article that explains more about Malaysia’s property market.